Intestinal disorders. 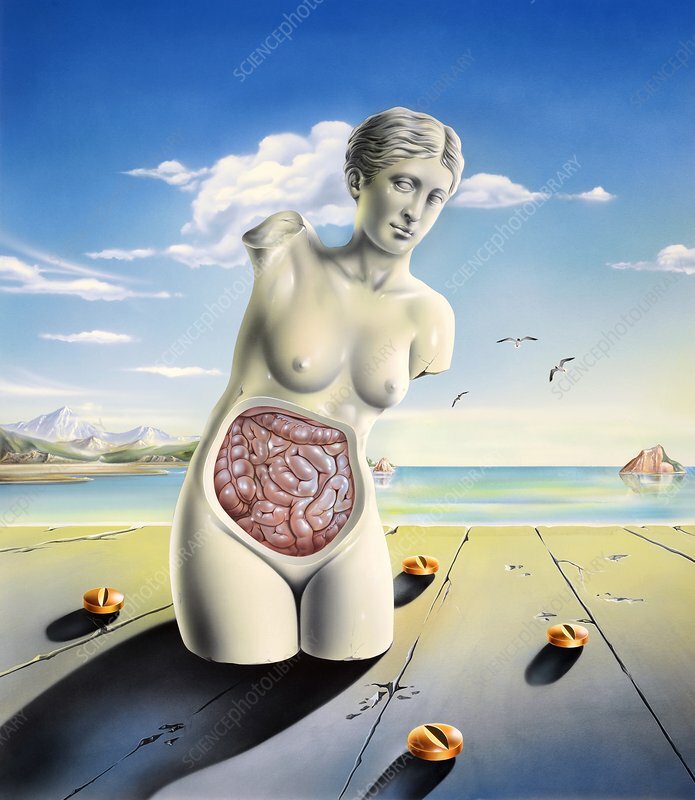 Conceptual artwork of a Venus de Milo female figure with the intestines exposed, and tablets representing treatment for intestinal disorders. This image could represent disorders such as Crohn's disease and ulcerative colitis, with the tablets being used to treat inflammation. The armless statue could represent feelings of helplessness and being trapped with the condition.